One morning, Devin Allen woke up to find himself an internet sensation. 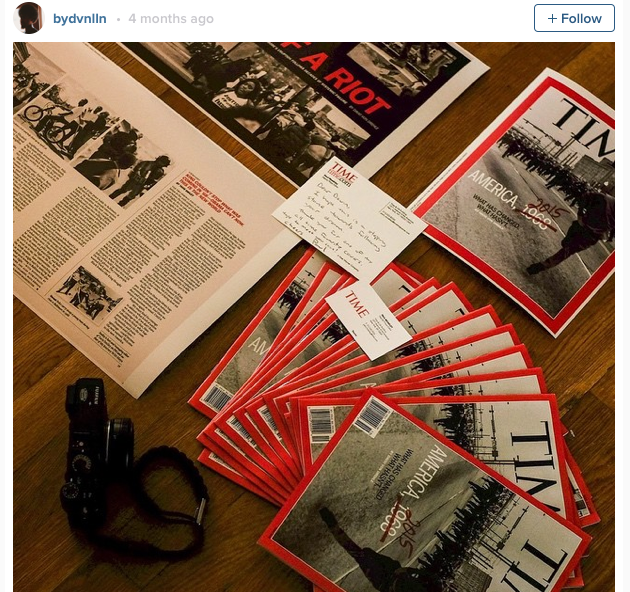 An image the 26-year-old budding photographer had taken, and posted on Instagram, had been picked up by TIME magazine. They had chosen it for their new cover, no less. 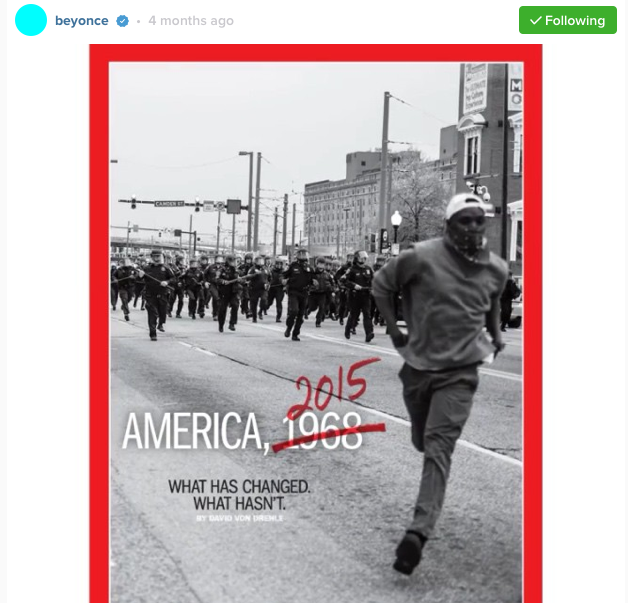 As if that wasn’t enough, celebrities Rihanna and Beyonce then distributed the image on their social media accounts. Devin has since revealed to MTV News how he felt when he saw the cover, the story behind his now world famous photograph and how he thinks social media has the power to make anyone’s career a successful one. 1. How did you feel when you saw Time had used your photo for it’s cover? 2. What were your experiences of the unrest in Baltimore? “At first there were just peaceful protests…then, on the Saturday (April 25), when I took the picture that’s on TIME’s cover, there was a huge rally. It was about 2,000 people. That went sour due to racial slurs that were being thrown at protestors. 3. How did you capture the image that now has worldwide recognition? “The guy with the bandana around his face, basically he ran down and threw something. Once he threw something, the sergeant gave [officers] the right to go in. So, they took off. I snapped the picture. I have WiFi on my camera so I was thinking, ‘I have enough time to send this picture to my phone and tweet it.’ By the time I tweeted the picture and posted it, I looked up and the police was right in front of my face. They actually almost ran me over but they didn’t. They actually helped me. They helped push me over this railing. That’s how I got away. 4. What are your thoughts on social media as a tool for getting noticed and helping your career?